Pope Francis has appointed three womenas consultants to the Congregation for the Doctrine of the Faith(CDF). The CDF, of the Roman Curia, is part of the central administration of the Catholic church. The Vatican announced on April 21, that Pope Francis has named three women and two priests as consultants to the CDF. Two of the women are Italians and one Belgian. The three women are Dr. Linda Ghisoni, undersecretary for “the section for the lay faithful” in the Dicastery for Laity, Family and Life; Prof. Michelina Tenace, who teaches theology at the Pontifical Gregorian University in Rome; and Prof. Laetitia Calmeyn, who teaches theology at the Collège des Bernardins, Paris. The two priests are the Rev. Sergio Paolo Bonanni, who teaches theology at the Pontifical Gregorian University, and Manuel Jesús Arroba Conde, C.M.F., a Claretian and president of the Institute of Both Jurisdictions (civil and canon law) at the Lateran University in Rome. The Holy Father Francis has appointed as Consultors of the Congregation for the Doctrine of the Faith the Rev. Don Sergio Paolo Bonanni, lecturer in theology at the Pontifical Gregorian University; Fr. Manuel Jesús Arroba Conde, C.M.F., rector of the Utriusque Iuris Institute of the Pontifical Lateran University; Dr. Linda Ghisoni, under-secretary of the Dicastery for the Laity, Family and Life (Section for Lay Faithful), Professor Michelina Tenace, lecturer in theology at the Pontifical Gregorian University; Professor Laetitia Calmeyn, lecturer in theology at the Collège des Bernardins in Paris. The consultant in the Roman Curia is to give advice or opinions on questions that need to be resolved or to be explored. Consultants of the Vatican congregations have been men. In January 2017, Pope Francis appointed two women to the Congregation for Divine Worship and the Discipline of the Sacraments: Prof. Donna Orsuto (U.S.) who teaches at the Gregorian University, and Dr. Valeria Trapani (Italy), who teaches in the Pontifical Theological Faculty of St. John the Evangelist in Palermo, Sicily. The CDF., is the oldest and most powerful of the nine Vatican congregations. It was erected in 1542 by Pope Paul III to deal with cases of heresy and schism. 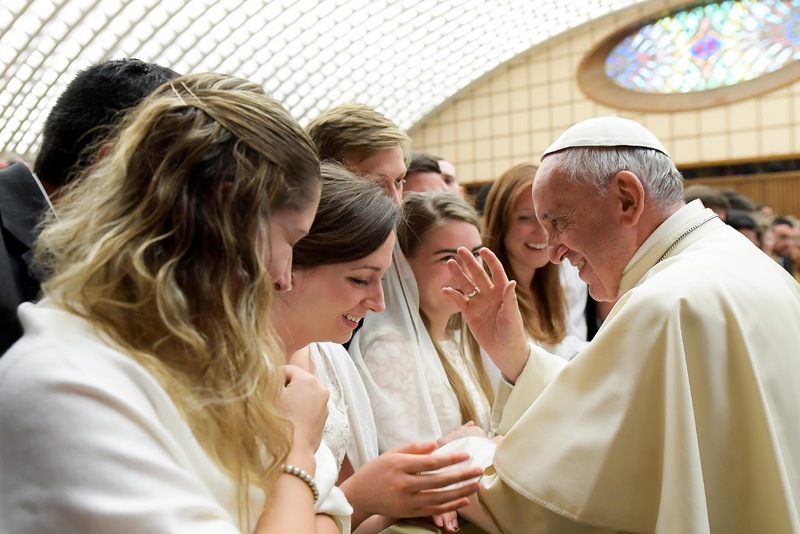 Pope John Paul II renamed its purpose in 1998 “to promote and defend the doctrine of the faith and its traditions in all of the Catholic world.” Dr. Linda Ghisoni, is married and mother to two daughters. She gained a doctorate in canon law from the Pontifical Gregorian University in 1990. She has served at the Tribunal of the Roman Rota. Prof. Michelina Tenace, also appointed today, was born at San Marco in Lamis, Puglia, in southern Italy in 1954. She earned a doctorate in theology at the Pontifical Gregorian University, where she teaches fundamental theology. Laetitia Calmeyn, was born in Brussels, Belgium and was nurse who specialized in palliative medicine. She has a doctorate in theology from the Pontifical John Paul II Institute in Rome. She has taught theology at the Colleges des Bernardins, Paris, since 2009, and is a consecrated virgin of the Archdiocese of Paris.